SKU: AB-M500S Categories: Corporate Apparel, Men's Corporate Apparel, Men's Corporate Shirts, Woven Shirts, Men's Clothing, Men's Outerwear, Shop by Color, Black, Blue, Navy, White Tags: men's clothing, men's outerwear, woven shirts Brands: Harriton. Harriton Men’s Easy Blend™ Short-Sleeve Twill Shirt is made of a combination of cotton and polyester and has wrinkle-resistant performance. 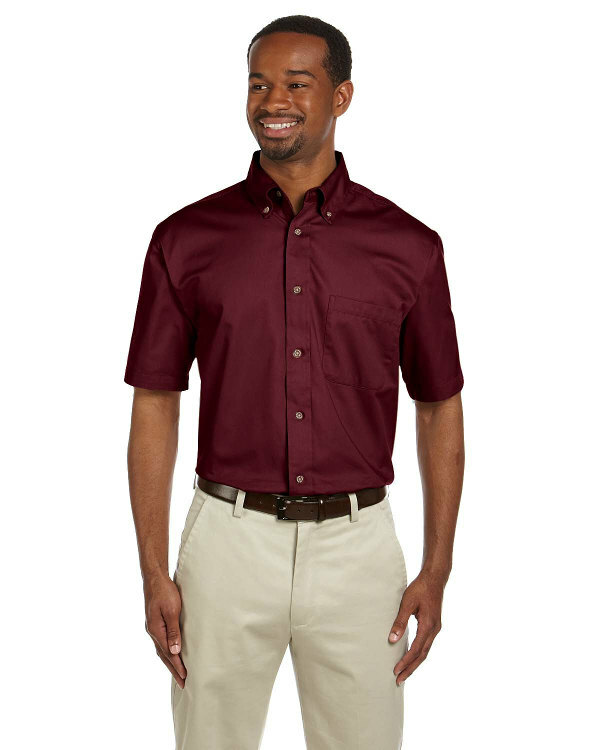 The Men’s Easy Blend™ Short-Sleeve Twill Shirt comes in men’s size Extra Small through 4XL. It is available in Black, French Blue, Navy, Stone, White and Wine.